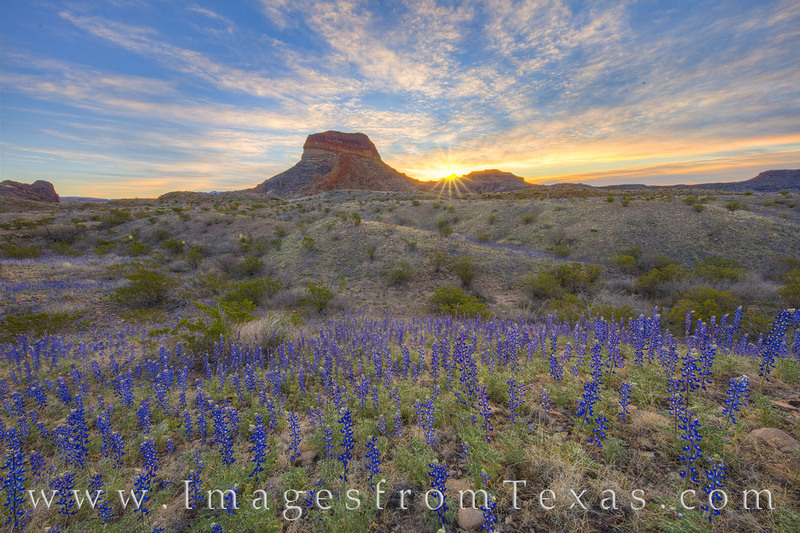 The first sunrays of a cold February morning meet Big Bend bluebonnets near the iconic Cerro Castellan. The sky was beautiful and the air crisp. Patches of bluebonnets were everywhere on this western slope of the Chisos Mountains. The wildflower bloom in Febraury of 2019 was one of the best in memory. Photo © copyright by Rob Greebon.